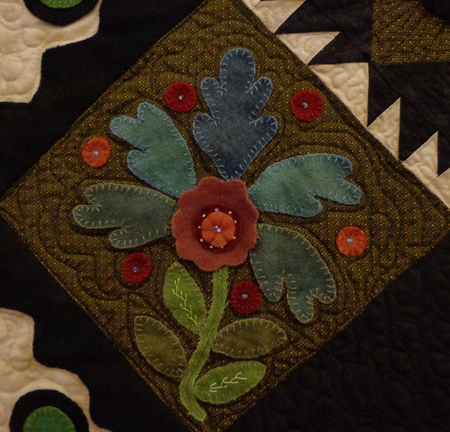 Just finished up a hand appliqué project for the November/December issue of Quiltmaker. Whew! It’s always a load off my mind when I get to the end of this type of assignment. And yes, they really do work this far ahead. It’s a really cute piece. Kind of holiday-y but also very much in the red-and-green appliqué tradition. The article will include back-basting, so be on the lookout for it. 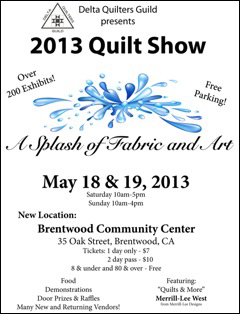 Next weekend I’m driving up to Santa Rosa, California, for the Moonlight Quilters of Sonoma County show. That’s wine country! Dana tells me that we drove past on a trip that we took one time to Napa, but this will be the first time I’ve really been in Santa Rosa. I’m really looking forward to it. That’s one of the great things about being a traveling quilt-show vendor… I’m getting to explore lots of cool places in this wonderful state. 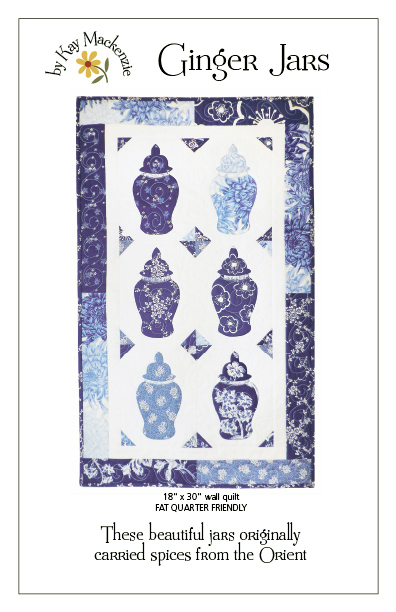 The featured quilter is the one and only Judy Mathieson!! 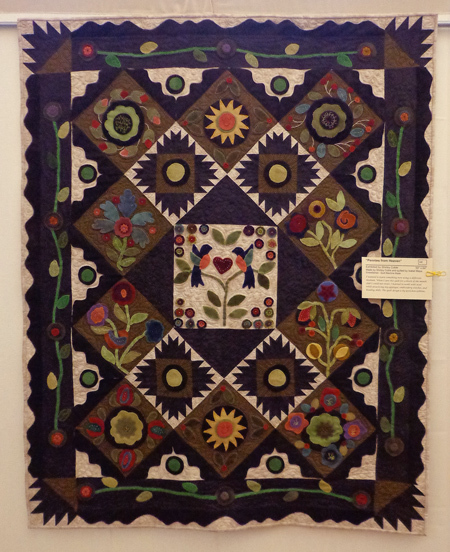 Judy is known for her extraordinary Mariner’s Compass quilts. She’s also a dog person so she’s all right in my book :). So beautiful. 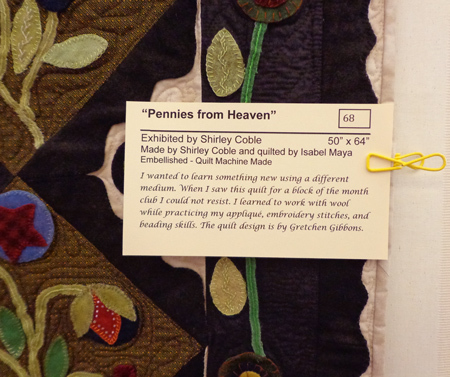 The design is from Gretchen Gibbons‘ book Pennies From Heaven. Cathy’s pick for Best. Quilt. Book. Ever. When Cathy says so, I pay attention. 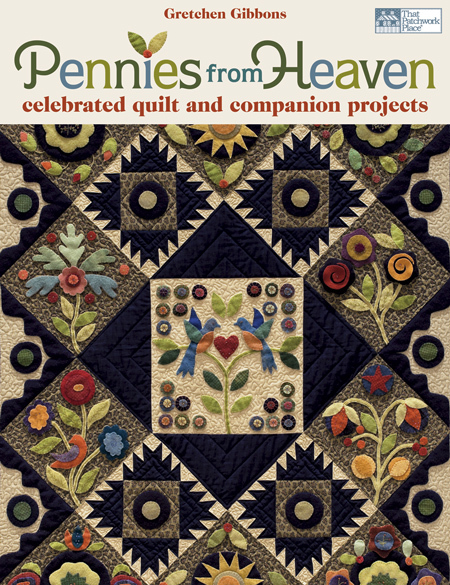 Go on over to Cathy Perlmutter’s blog GefilteQuilt to see which new book has received this hugely important title! And you’ll have a chance to win a copy! Lovie said that she loved unicorns as a child and that the pony block could be a unicorn with the addition of a little horn. Absolutely! I would love to see that variation. If you didn’t win a copy during the tour, there’s still a chance! 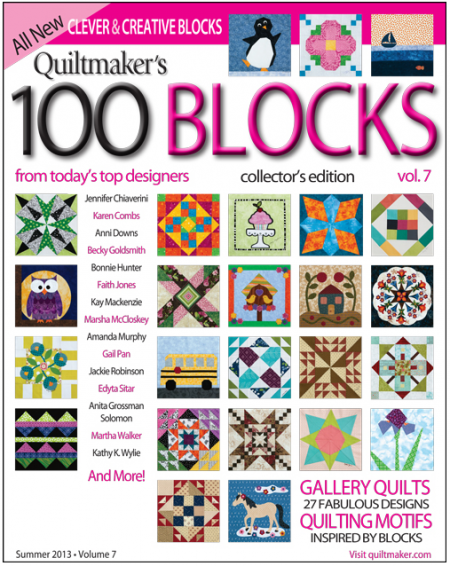 Shayla Wolf, editorial assistant at Quiltmaker, had her first block in this volume and is so excited about it that she’s doing an extra, special giveaway right now. Head on over to Quilty Pleasures to see Shayla’s adorable block “Hootie” and find out how to enter the draw in a couple of different ways. And, if you’re still not in luck, I’ve added the issue to my website and you can order it there, on the Patterns page. I made the cover again! Happy dance!